Jennifer Lopez has unveiled the artwork for her new single. “Ain’t Your Mama” marks the first promotional cut from the artist’s upcoming studio collection under Sony Music Entertainment / Epic Records. The track was co-written by Meghan Trainor (Fifth Harmony, Rascal Flatts), Jacob Kasher Hindlin (Bebe Rexha, Selena Gomez), LunchMoney Lewis (Ciara, Jessie J) and Rock City (Rihanna, Keri Hilson). Meanwhile, production duties on “Ain’t Your Mama” were collectively handled by Dr. Luke (Katy Perry, Britney Spears) and Cirkut (The Weeknd, Nicki Minaj). Watch the music video for “Feel the Light” below. Jennifer Lopez is scheduled to work with Liam Payne for her upcoming album. Payne previously co-wrote “I Won’t Break” for Cheryl along with Samuel Preston, Alex Smith, and Mark Taylor. The Red Triangle-produced track appears on Cheryl’s latest studio collection, “Only Human,” out now via iTunes. Moreover, he recorded new material with Ruth-Anne Cunningham and Steph Jones along with Andrew Haas and Ian Franzino of production duo AFTERHRS. It is yet to be known whether the session was intended for another artist or his upcoming debut solo album. Meanwhile, Lopez is expected to release the follow-up to 2014’s “A.K.A.” later this year through Universal Music Group / Republic Records. The still-untitled album reportedly delivers alliances with RedOne (Enrique Iglesias, Lady Gaga), Jenna Andrews (Yuna, Majid Jordan), Ne-Yo (Rihanna, Kelly Rowland), and Meghan Trainor (Rascal Flatts, Fifth Harmony). Watch the music video for “All I Have” below. Prince Royce has announced the details for his upcoming English album. The singer/songwriter christened his fourth collection “Double Vision” and will release it on July 24 through Sony Music Entertainment / RCA Records. Current single “Back it Up” – featuring Jennifer Lopez & Pitbull – is now available for download via iTunes. The track was co-written by Savan Kotecha (Usher, Britney Spears) and produced by Ilya Salmanzadeh (Ella Eyre, Tori Kelly). Other album contributors include RoccStar (Zendaya, Chris Brown), Steve Mostyn (K. Michelle, Alicia Keys), Jason Evigan (Miguel, Kelly Clarkson), Diane Warren (Beyonce, Celine Dion) and Toby Gad (Madonna, Leona Lewis). Watch the music video for “Back it Up” below. 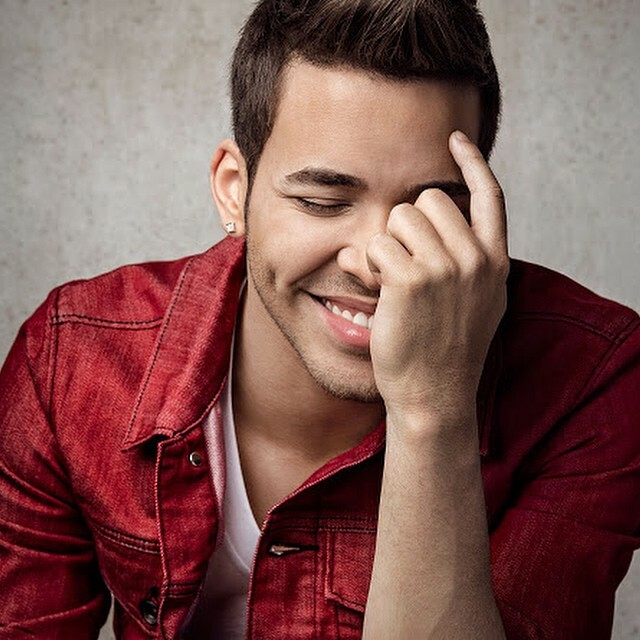 Prince Royce has premiered the music video for his new single online. The singer and songwriter posted the visual clip for “Back it Up” – featuring Jennifer Lopez and Pitbull – to his Vevo channel on Tuesday (June 09, 2015). “Back it Up” – now available for download via iTunes – was co-written by Savan Kotecha (Ariana Grande, Tori Kelly) and produced by Ilya “KnocDown” Salmanzadeh (Taylor Swift, Ellie Goulding). Video treatment was handled by Colin Tilley, whose other credits include Ne-Yo’s “Coming With You” [Motown Records], Ella Henderson’s “Mirror Man” [Syco Music] and Nicki Minaj’s “Anaconda” [Republic Records]. Royce’s upcoming debut English album – featuring previous single “Stuck on a Feeling” – is due later this year under RCA Records. The still-untitled CD will feature additional alliances with Jason Evigan (Madonna, Kelly Clarkson), Ross Golan (Colbie Caillat, Jason Derulo), Sam Martin (David Guetta, Nick Jonas) and Robopop (Charli XCX, Lana Del Rey). Jason Derulo has unveiled a new song online. The singer and songwriter posted the audio clip for “Try Me” – featuring Jennifer Lopez and Matoma – to his YouTube channel on Monday (May 25, 2015). Her other credits include Selena Gomez’s “Slow Down” [Hollywood Records], MKTO’s “Classic” [Columbia Records], David Guetta’s “Dangerous” [Parlophone Records] and Ella Henderson’s “Beautifully Unfinished” [Syco Music]. Meanwhile, Derulo’s upcoming fourth album “Everything is 4” will hit stores and digital outlets later this year under Beluga Heights and Atlantic Records. The follow-up to 2014’s “Talk Dirty” boasts further guest appearances from K. Michelle (“Love Like That”), Meghan Trainor (“Painkiller”), Julia Michaels (“Trade Hearts”) and Stevie Wonder & Keith Urban (“Broke”). Listen to the audio clip for “Try Me” below.